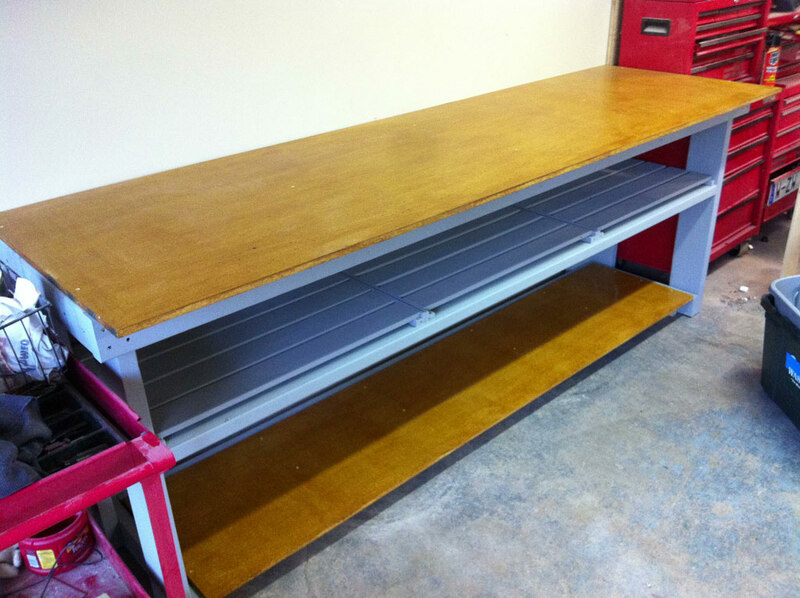 This is a PDF I put together outlining how I built a new simple workbench for my shop. Materials are cheap and easy to come by and the whole thing can be finished in about a day or two (with a bit of time to let the paint cure.) I’ve been using my bench for three years now and it’s as solid as the day it went up! This is a free download, but since my online store requires a transaction you’ll still need to enter check out information. Don’t feel bad about entering absurd bogus data, it’s actually quite entertaining to read. Make sure to enter a valid email address however, as the download link for this file will be sent to you after completing the check out process!